The following post draws on my last post and this 2018 post. As the Portland region prepares for Portland’s second pilot scooter program that starts on April 26th and Milwaukie’s first pilot scooter program that should start this spring, the most used and safest infrastructure for Clackamas County scooter riders likely will prohibit scooters. Since trails are fully separated from automobile traffic, I consider trails to be the safest infrastructure for scooter and bike riders. Unfortunately, many trails in the Portland region prohibit e-scooters and e-bikes. 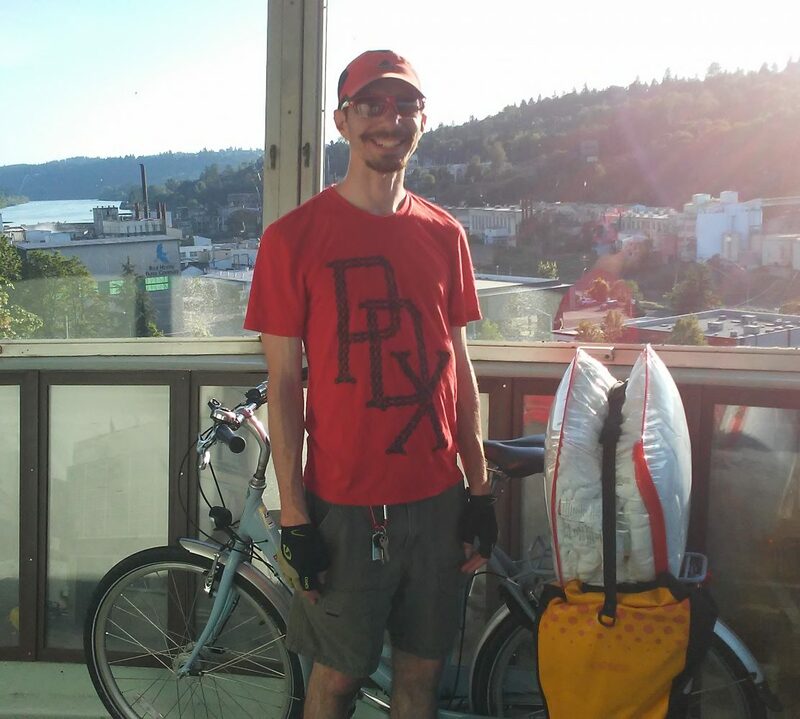 While Jonathan Maus at BikePortland learned that Portland does not enforce this prohibition, the prohibition still creates legal issues for e-scooter and e-bike riders. The following quotes summarize the issues. As the below map shows, the region has many existing, planned and conceptual regional trails. While I am still researching the legal issue, I believe the only trail in the region that does not prohibit e-bikes and e-scooters is the Banks-Vernonia Trail, which is not located in Clackamas County. The State Parks Commission amended their rules in 2018 to legally allow e-bikes and scooters on paths and trails managed by the Oregon Parks and Recreation Department (OPRD). According to OPRD’s website, the only trail in the region managed by OPRD is the Banks-Vernonia Trail. While the 40-Mile Loop Trail is listed on this website, I believe local jurisdictions like Portland manage it. Since many jurisdictions manage trails in the region, I hope OPRD and Metro educate all the local jurisdictions about the legal issue. I doubt e-bike and e-scooter users are aware of the legal issue, so we need to have regional legal consistency. Do riders use trails more than bike lanes in Clackamas County? Since I live and work in Clackamas County, which is located south of Portland, I focused on what infrastructure Clackamas County scooter and bike riders likely will use to travel. The region’s first scooter pilot program was legally limited to Portland and Portland did not release a map showing scooter rides south of Portland, so I do not have scooter data in Clackamas County yet. Scooter riders typically use the same infrastructure as cyclists, so I analyzed where cyclists currently ride in Clackamas County (left map). While bike lanes exist in Clackamas County, cyclists mostly use trails. In case you are not familiar with the trails, the trail system (right map) shows the same area as the left map. Since I believe all of the regional trails within these maps prohibit e-scooters and e-bikes, how will the jurisdictions that manage these trails approach enforcing their prohibitions? Will they change their policies to allow e-scooters and e-bikes? The legal issues are not limited to the Portland region. Since I lived and worked on transportation issues in the DC region last year, I have been following the legal issues in the DC region. NOVA Parks, which owns and operates many trails in Northern Virginia, unanimously amended their rules in March 2019 to allow e-bikes on trails such as the popular Washington and Old Dominion (W&OD) Trail. Across the Potomac River in Maryland, the Montgomery County Planning Board is considering whether to allow e-bikes and e-scooters on county trails. Dockless e-bikeshare and e-scootershare and Capital Bikeshare Plus (e-bikes) already exist in Montgomery County, but people have been riding on county trails even though it is not legal. The DC region has many more jurisdictions, so the legal issues are not resolved yet. Are you seeing similar legal issues where you live? I am excited to share that I am starting classes again this fall to earn my Associate of Applied Science degree in Project Management at Clackamas Community College! I admit that you likely would not have seen the words “project management” written by me during high school and my first undergrad experience at UNC Charlotte. I observed geographers and planners work on projects when I shadowed them and worked with them during internships, but I doubt I realized that project management existed and what it really meant. My name was included in a project schedule for the first time when I worked on launching Philadelphia’s Indego bikeshare program during Summer 2014. I worked on this project as a Transportation Planning Intern at Toole Design Group in the Washington, DC office. I cannot publicly share the project schedule, so the below photo shows Indego. My name was included in project schedules throughout grad school at Portland State University (PSU) and work at MetroBike. Since I applied to PSU before interning at Toole Design Group, gaining project management skills likely was not something I thought I would learn at PSU. My name is currently included in project schedules at Clackamas Community College. I think this shows how much I have grown as a professional. I am still planning to take the American Institute of Certified Planners (AICP) exam in May or November 2019. I will have at least two years of full-time planning experience by late 2018 or early 2019. This is a requirement to be eligible to apply to take the AICP exam. I may also take the Geographic Information Systems Professional (GISP) and Congress for the New Urbanism-Accredited (CNU-A) exams. There are so many certifications that interest me! While being certified is great, I want to use my certification(s). As I mentioned in this post, I will have a new student assistant starting on Monday, September 10. She will work for me until the end of Spring Term 2019, which is in June. Besides the student assistant I briefly supervised for one week during Spring Term 2018 and the high school student I volunteered to supervisor as a part-time Outreach Intern at Charlotte B-cycle during Summer 2013, I will be supervising an employee for the first time in my life starting this fall. Since I want to be prepared to supervise my new student assistant, I have been working with my boss during work time and my Association of Pedestrian and Bicycle Professionals (APBP) mentor during personal time to create a 2018-19 academic year project schedule for myself and my student assistant. I plan to write a future post about how this project management experience went for us. I’m about three months into my job search. As 2017 ends tonight and 2018 begins, I’ve been thinking about my new year’s resolution. Since a busy schedule helped me feel good when I was working earlier this year and interviewers have been asking what I’ve been doing since I lost my job, my new year’s resolution is to achieve a busy schedule again. While it’s tougher for me to have a busy schedule when I’m not working a full-time job, I’m determined to find a way to achieve a busy schedule again regardless of having a full-time job. As a planner, I prefer to create a plan for how I’m going to achieve something rather than hope it happens. My existing volunteer work is a good starting point. One of the many things I love about the Washington, DC region is how many opportunities I have to get involved in exciting projects. As this post shows, I have been helping the Capital Trails Coalition by serving on its Analytics Working Group. Staff at the Rails-to-Trails Conservancy (RTC) and Washington Area Bicyclist Association (WABA), who work together on the Capital Trails Coalition, have told me they are stretched thin. I’ve been offering to help them more than just at monthly meetings, so I’m hopeful to plug into a cool project. I have been writing blog posts for Greater Greater Washington (GGWash). I’m currently in the process of writing two more posts for GGWash. One post is about State of Place’s walkability study for the Lee Highway Alliance. The other post is about dockless bikeshare in Washington, DC. As the Transportation Issues Chair for the Mount Vernon Group of the Sierra Club, I’ve been advocating for the Sierra Club’s viewpoint on local, regional, and state transportation issues. I’m also running uncontested for a seat on the Mount Vernon Group’s Executive Committee. After describing some of my volunteer work and realizing I need to make time for my job search, I’m asking myself whether I should be trying to have a busier volunteer schedule or acknowledge that I’m doing plenty to stay busy during my job search. What do you think?